Jhanjay Vegetarian Thai Cuisine (1718 North 45th Street, Seattle, WA 98103, 206-632-1484) - Jhanjay Vegetarian Thai Cuisine is a hidden jem, that is embedded between Chocolate Cafe and Murphy's Pub on 45th. If you drive by too fast you might miss it, but it is definitely worth stopping in. When you enter you are warmly greeted, and rarely have to wait for a table. Jhanjay's chefs are at the forefront of restaurant constantly surrounded by steam as you take in the aroma of fried tofu curry, stir fryed asparagus, and their classic mountain of mushrooms. Though this is a vegetarian restaurant by name ("jhanjay" meaning "vegetarian dish" in Thai), the dishes are hearty yet healthy leaving your belly full but not guilty. Service is fast and meticulous and prices are extremely reasonable. I love the tofu tom yum soup which costs a measly $5.50. The downside to this restaurant is the space between the tables, so if you are not interested in easdropping on the table next to you, or you are going to breakup with your girlfriend, this would not be the best choice. 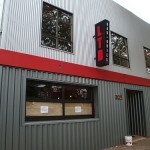 LTD Bar Grill (309 North 36th Street, Seattle, WA 98103, 206-632-7876, www.ltdbarandgrill.com) - LTD Bar and Grill is a relatively new bar to the Fremont area and I give it great remarks. It is by far the best sports bar in Fremont and finally is an alternative to George and Dragon bar in Fremont which has a tendency to show lots of soccer and rugby games. LTD has a a lot of high quality televisions that are easily seen from anywhere in the bar. The food is good for your typical bar munchies of burgers, fries, and sandwiches. The shuffleboard and pool tables are in great condition with minimal lines if any on regular nights. Another plus of LTD is that they have ordered UFC fights and not charged a cover. If you are looking for a place to watch a game, I highly recommend stopping in for beer and dinner, you won't be disappointed! 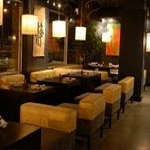 Zen Asian Bistro (989 112th Avenue North East, Bellevue, WA 98004, 425-453-2999) - Zen Asian Bistro is another restaurant that was located close to where I lived and convenient in the sense that the underground parking was free. This is a diamond in the rough. 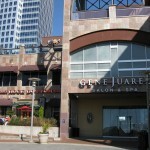 It is an excellent place to stop by at a whim for sushi without reservations. The service is fast and staff is very nice. The sushi was good and they have an extensive offering. The atmosphere is good for an outing or date, but not too kid-friendly during the weekends at night I would say. 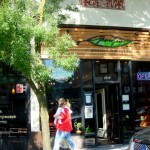 The biggest problem that Zen Asian Bistro faces is that their location is in the building of a high rise and doesnt have a lot of advertising or walking traffic to stop in and grab a bite.